Whether it is the environment or human rights, more and more people are taking an interest in how they spend and invest their money. While the idea of defining an “ethical investment” is fraught with difficulties – what one person may call ethical, another may not – there is nevertheless a large and growing pool of investments classified as Socially Responsible Investing (SRI). For some, it may be enough to call an investment socially responsible if it avoids supporting tobacco companies or weapons manufacturers. This negative or “exclusionary” screening approach was applied to $15 trillion of investments in 2016, according to the Global Sustainable Investment Alliance (GSIA). However, for an increasing number of investors, SRI is about more than simply screening out “unethical” companies. For these investors, SRI must meet a set of environmental, social and governance (ESG) criteria. In 2016, ESG investments totalled $10.4 trillion. These figures look set to increase in 2017 following Swiss Re’s announcement that it will begin measuring all of its investments against ESG criteria. It is estimated that for Swiss Re’s liquid assets, this will mean $130 billion of investments now tracking MSCI’s ESG Indexes. MSCI rates companies against ESG criteria and combines these scores with their business valuation to create weighted indexes, much like a share price index for ethical companies. Environmental – what does the company’s carbon footprint look like? Social – how are workers and supply chains treated? Governance – how transparent and accountable is the company’s management regime? 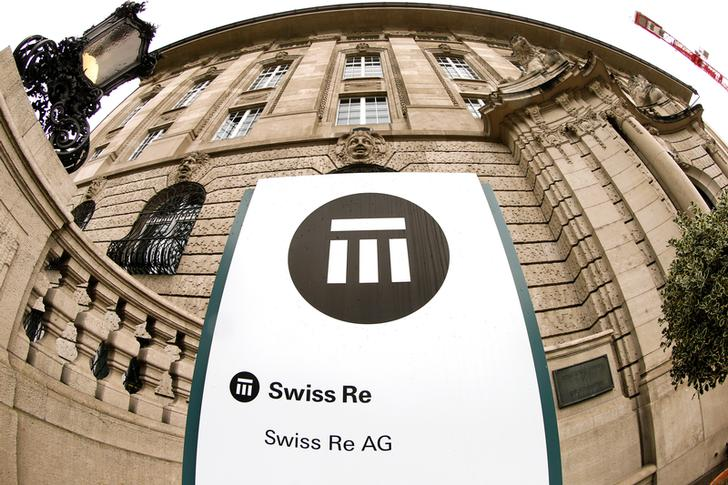 Like many of those embracing ESG investing, Swiss Re Group Chief Investment Officer Guido Fuerer told Reuters that it wasn’t simply about doing good. “It makes economic sense too,” he said. "Equities and fixed-income products from companies and sectors with a high ESG ratings have better risk-return ratios." Research by Hermes Investment Management found that companies with favourable environmental or social characteristics have on average outperformed companies with negative characteristics in these areas. Meanwhile, companies with good or improving corporate governance have tended to outperform companies with poor or worsening governance by 30 basis points per month on average since the beginning of 2009. Shifting from a negative screening SRI strategy to a positive one clearly brings benefits. Katherine Brown, Head of Sustainable and Impact Investing at the World Economic Forum, says that more investors are making this shift. “SRI in general has grown by 25% over the past two years,” says Brown. The trend towards sustainable investing looks likely to continue as the benefits of using ESG criteria in investment decisions become more widely known. However, for some investors, even ESG investing fails to go far enough in their mission to use money to do good. For this small but growing segment of the market, ethical investing means impact investing. This means intentionally backing ventures and assets that have a positive social or environmental outcome as part of their business models – and measuring those outcomes as closely as the financial returns. The term was first used by the Rockefeller Foundation a decade ago to refer to market-based solutions to social problems, and the first movers in this space were high net-worth individuals and organizations intrinsically linked to ethical concerns. For example, John K. Coors, great grandson of Coors Brewing founder Adolph Coors, is spearheading a private equity vehicle to promote economic development in Africa. The One Thousand & One Voices (1K1V) initiative is investing $300 million in small- to medium-sized businesses in Sub-Saharan Africa. And the largest non-profit healthcare organization in the US, Ascension Health, has set up an investment arm to manage its own investments and others’ in line with its Catholic principles. Many more are now joining these first movers: according to GSIA impact investing is the fastest-growing area of ethical investment, up 385% in 2016, although the assets remain small ($107.2 billion). Increasing awareness of climate change and the consequent risks and benefits for investments is today the biggest single driver of the shift towards SRI strategies. Equally important, however, is demographics: according to US Trust’s Insights on Wealth and Worth Survey, 93% of millennials believe that social or environmental factors play an important role in investment decisions, compared to just 51% of Baby Boomers. “For our parents’ generation, what is ethical is often different to what is ethical for millennials,” says Brown. With the millennial generation set to experience the biggest transfer of wealth ever in history – estimated to be $30 trillion as they inherit their parents' and grandparents' assets – ethical investments may prove to be the growth financial sector of this century.